Champion sprinter and the best by I Am Invincible. First juveniles include Randwick Listed winner Accession, G2 colt Tassort and Stakes filly First Dawn. Sales sensation with sales toppers at the Classic and Premier yearling sales. By I AM INVINCIBLE (2004) D C McKay S (G3), 2nd Goodwood H (G1), etc. 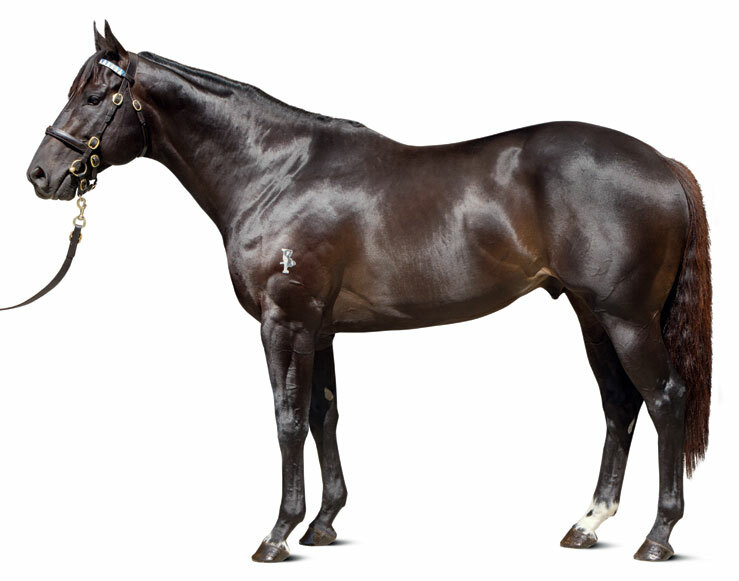 Sire of 594 foals aged three and up, including BRAZEN BEAU, HELLBENT, I AM A STAR, OOHOOD, VIDORA, INVINCIBLE GEM, LOOK TO THE STARS, ILLUSTRIOUS LAD, INVINCIBELLA, PURE ELATION, SANTOS, THE JUSTICE LEAGUE, ECKSTEIN, INVINCIBLE STAR, VOODOO LAD, FIESTA, HOUTZEN, etc. BRAZEN BEAU (c I Am Invincible) G1 winner, see race record. EPIC FAITH (f Dash For Cash) 2 wins at 3. HERMANITO (g I Am Invincible) Winner (7f) at 3, 2018. KNOW HOW (g Desert King) 4 wins, 3 to 5. JAKE’S THE MAN (g Waajib) 2 wins at 4. MAJESTIC ANSWER (c Majestic Light) Oil Capital H. Sire. Splendid Answer (c Secretariat) 4th Juvenile S (G3). Miz Buckfinder (f Buckfinder) Unraced. Dam of: GEE RYDER (c Red Ryder) Ruidoso Mile S.
NOBLE ANSWER (c Viceregal) Yearling Sales S, 2nd Winnipeg Futurity (G2), Plate Trial S, Carleton S.
HEAR MUSIC (f Master Willie) Canadian S, Eatontown H. Grandam of: FORMAL MISS (f Formal Dinner) Judy’s Red Shoes S, Capital Request S, Deauville S, Soft Parade S, Garden Saint S, Liberada H, Lenta S, 2nd Herecomesthebride S (G3); GOLD PIRATE (g Goldwater) Pleasanton H; Green Riches (c Rizzi) 2nd Florida Stallion S; Ms Thanksgiving (f Formal Dinner) 3rd Good Mood S.
Brazen Beau's first southern hemisphere crop are two-year-olds of 2018. 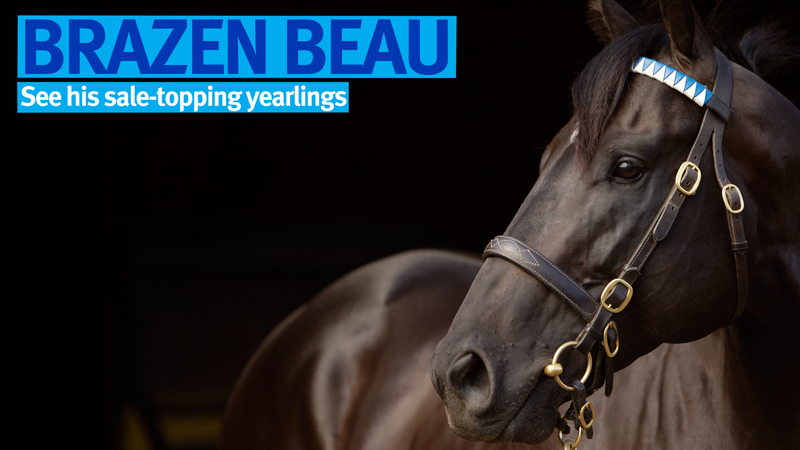 Brazen Beau's first northern hemisphere crop are two-year-olds of 2019. Bollinger Champagne Classic (G2), 1200m, Doomben, by 1¾l, beating Looks Like The Cat, Shaumari, Eloping, Mohave, Stroak, Time For War. Maiden race, 1100m, Canterbury, by 4½l, beating Hampton Court. 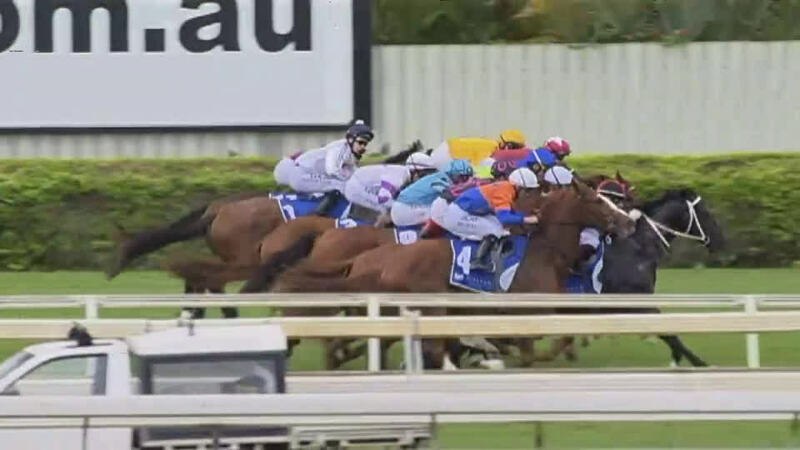 J. J. Atkins S (G1), 1600m, Eagle Farm, to Almalad, by a head, beating Looks Like The Cat, Pressing, Time For War, Mohave, Stroak, Sagatona. BRC Sires’ Produce S (G2), 1350m, Doomben, to Time For War, by a neck, beating Looks Like The Cat, Mohave, Pressing, Sagatona, Stroak, Aimee. Newmarket H (G1), 1200m, Flemington, by 2¾l, beating Chautauqua, Terravista, Lord Of The Sky, Aeronautical, Lankan Rupee, Delectation, Driefontein, Watermans Bay. 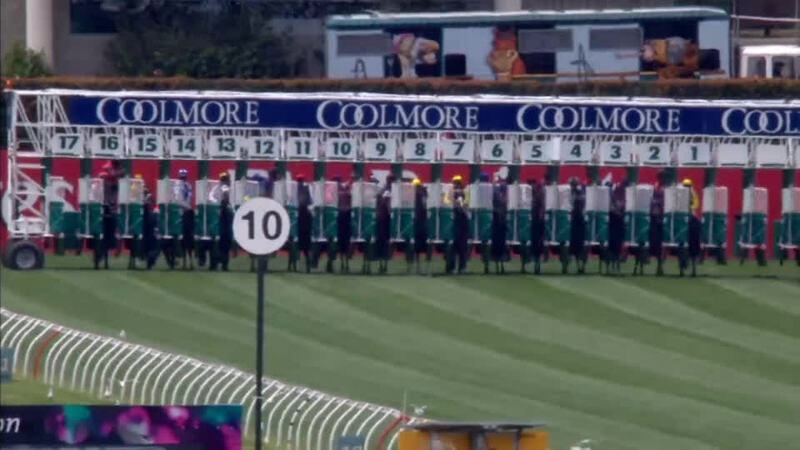 Coolmore Stud S (G1), 1200m, Flemington, by 1¼l, beating Delectation, Kuro, Eloping, Rich Enuff, Earthquake, Scissor Kick, Ghibellines, Bring Me The Maid, Rubick, Nostradamus, Time For War, Galaxy Pegasus. 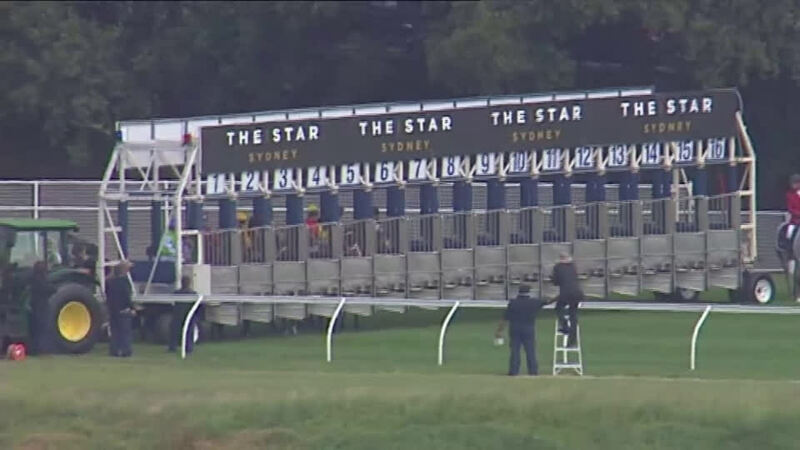 Roman Consul S (G2), 1200m, Randwick, by 1¾l, beating Nostradamus, Delectation, Hallowed Crown, Time For War, Klammer. 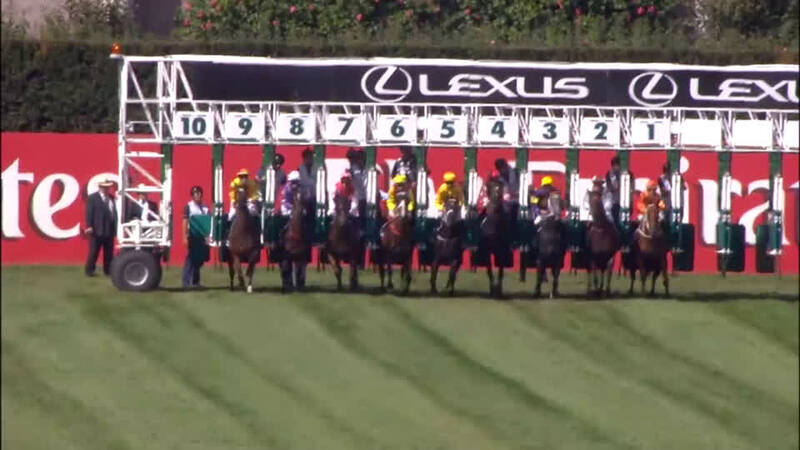 Black Caviar Lightning S (G1), 1000m, Flemington, to Lankan Rupee, beating Deep Field, Watermans Bay, The Quarterback. 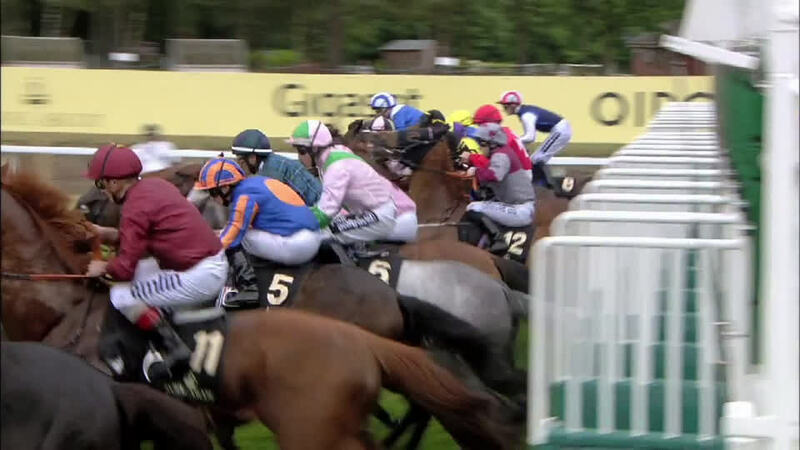 Diamond Jubilee S (G1), 1200m, Royal Ascot, to Undrafted, beating Astaire, Music Master, Mustajeeb, Wandjina, Caspar Netscher, Gordon Lord Byron, Glass Office, Ansgar, Moviesta, Pearl Secret, Lucky Kristale,Tropics, Due Diligence.